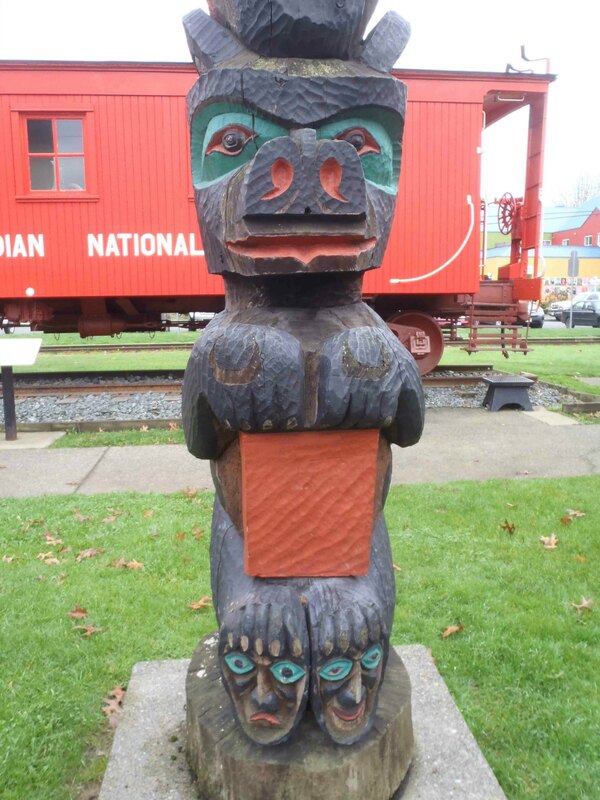 There are two totem poles in the City of Duncan’s collection called Pole of Wealth. 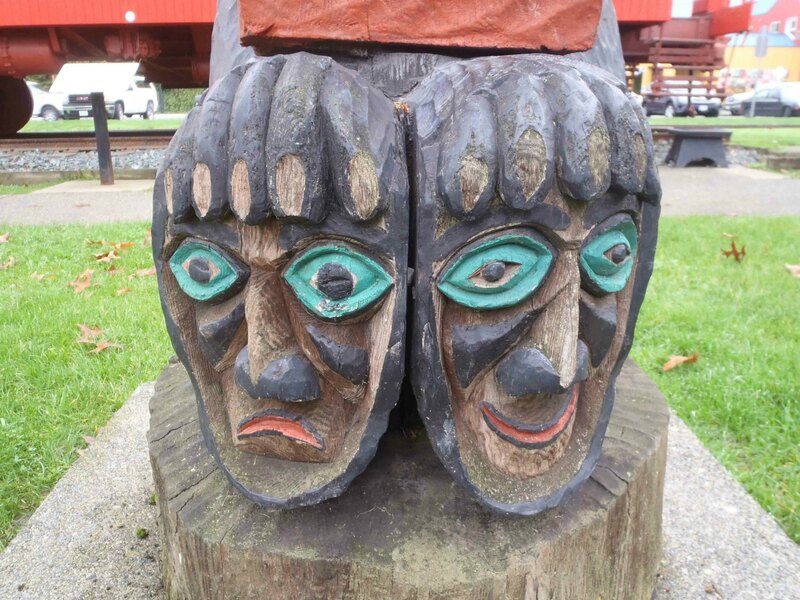 Both were carved in 1988. 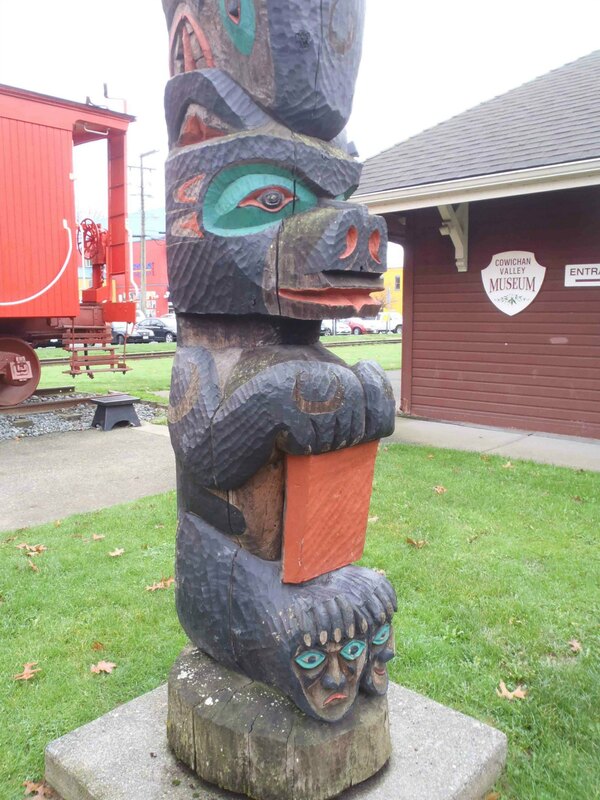 The other Pole of Wealth was carved by Norman John and is displayed at Government Street and E.J. Hughes Place. 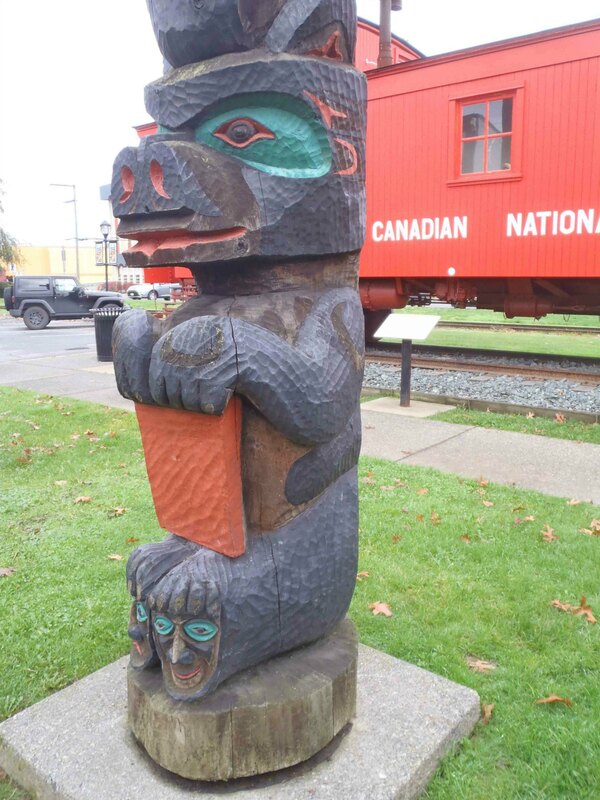 This Pole of Wealth was carved in 1988 by master carver Simon Charlie (1920-2005). 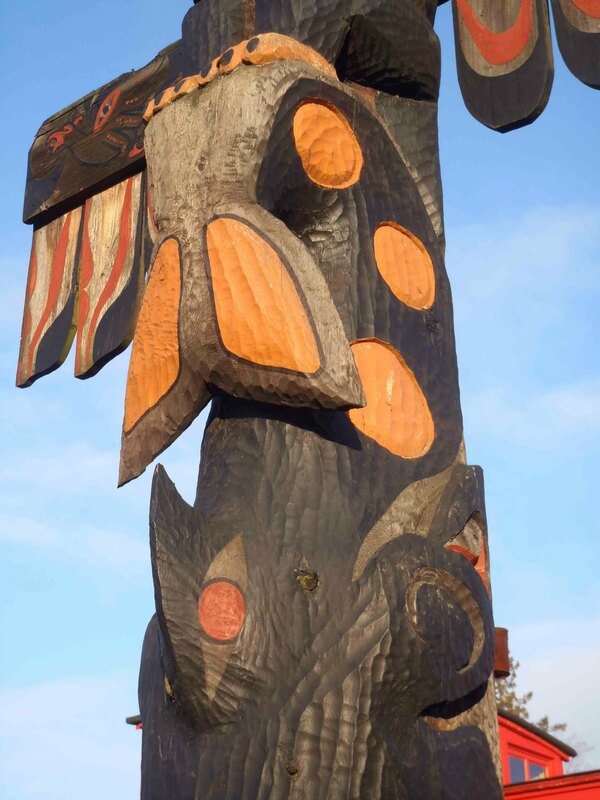 It stands 4.7m (15’7″) in height and is displayed on Canada Avenue near the intersection of Kenneth Street. 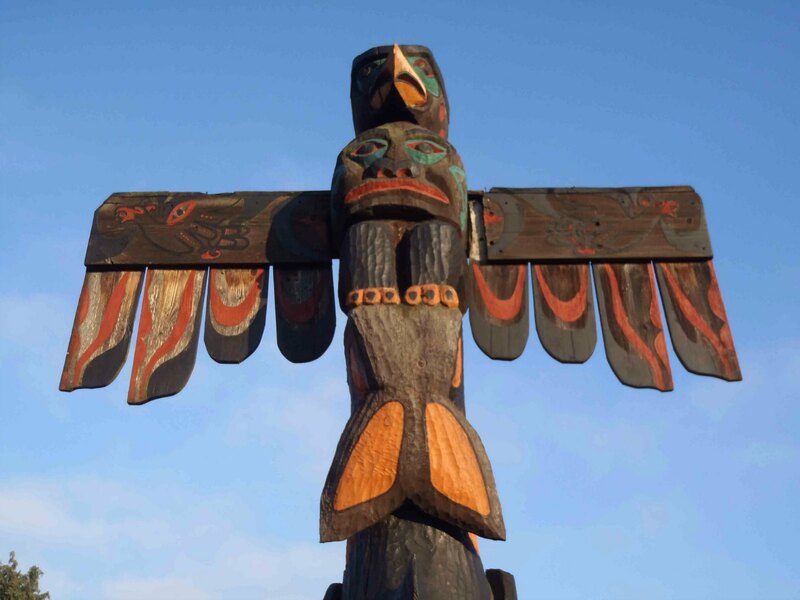 The Pole of Wealth features five figures: the Thunderbird, Spirit, the Killer Whale, the Black Bear and the Copper. 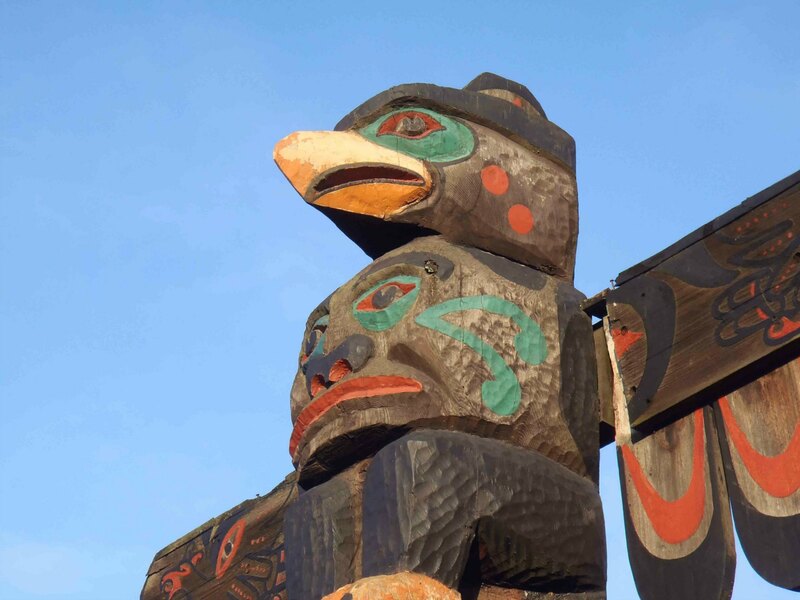 A particularly noteworthy feature of this pole is the textured surface of the figures. 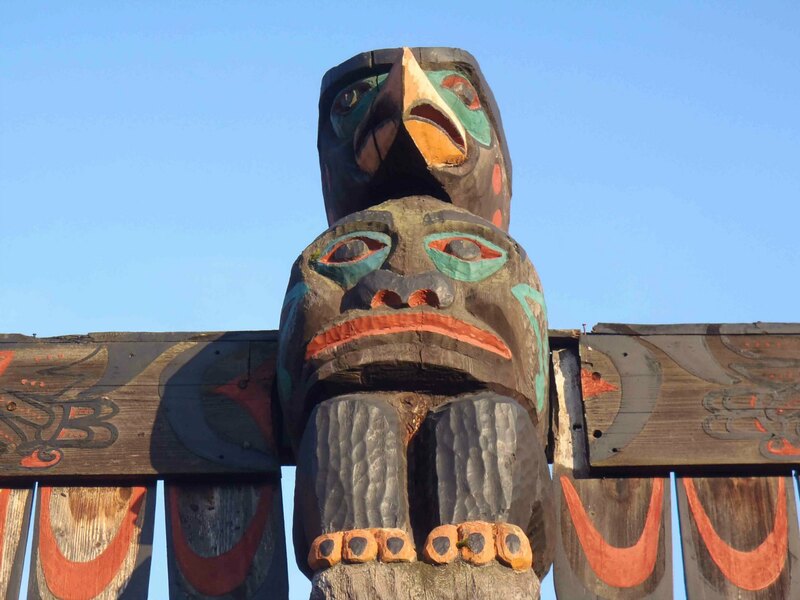 Simon Charlie typically carved animal figures to show an animal’s fur, feathers or scales. This can be seen clearly on the Pole of Wealth figures. 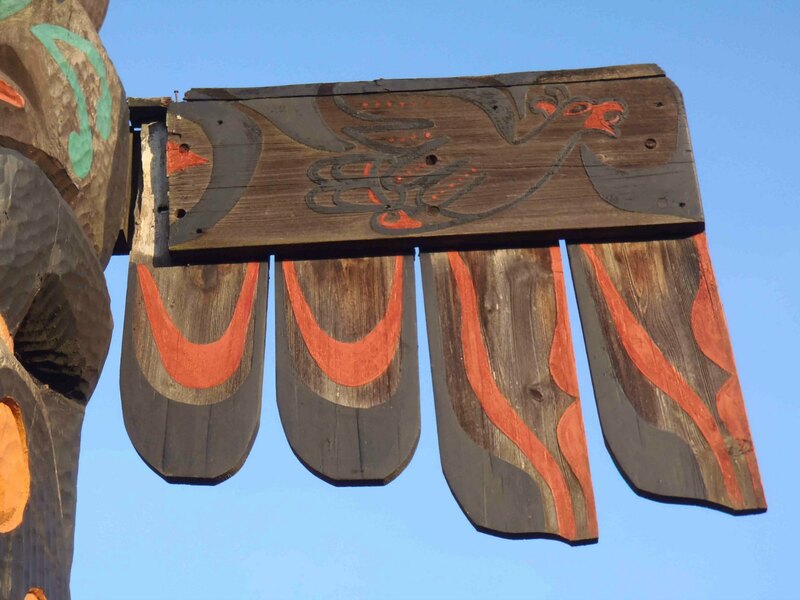 The Copper shield that the Black Bear holds in its front paws represents the wealth of the totem pole’s owner. 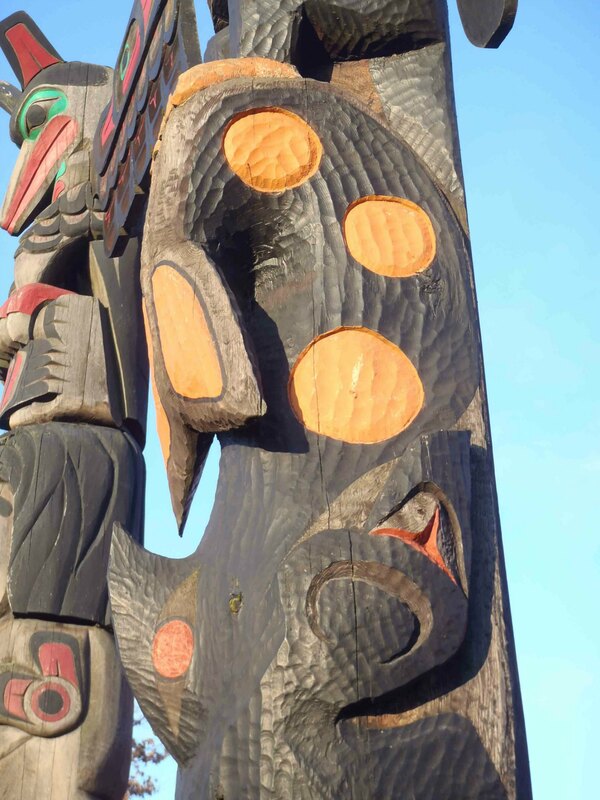 Also note the textured finish of the pole to depict the Black Bear’s fur. This textured surface is a typical feature of Simon Charlie‘s carvings of animal figures. Another of Simon Charlie‘s “trademarks” was to carve faces on the feet of his Bear figures, typically a happy face and a sad face to represent happy and sad periods in life.